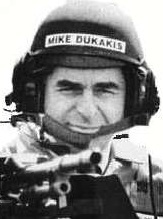 Remember the last time a divided political party thought it would be a good idea to rally behind a guy with with experience as Massachusetts governor, and made him their nominee for President? It didn't take long for Democrats to realize they'd made a mistake. But too late. They were locked into their nominee. Right now, it appears many Republicans are leaning in a direction of doing to their party what the Democrats did to theirs in '88. Socialist website calls for revolution in the U.S. Conditions are created for new U.S. and global collapse of capitalism. In preparation for revolutionary struggle is now entering the American working class lessons to be learned from the strike at Flint and explosive birth of the CIO. Revolutionary potential was expressed so strongly in those early battles will return again to the fore. This time, the movement must be aware armed with a socialist and internationalist strategy and takes the form of a political battle to take over power by the workers. This requires breaking old organizations and leadership building new, revolutionary. Great tradition of struggle of American working class will find expression at a higher level through the establishment of the Socialist Equality Party, leader of battles to come. The article was published in the Romanian language. The translation above is a rough one provided by Google. If anyone knows of, or can provide, a better translation, let me know. 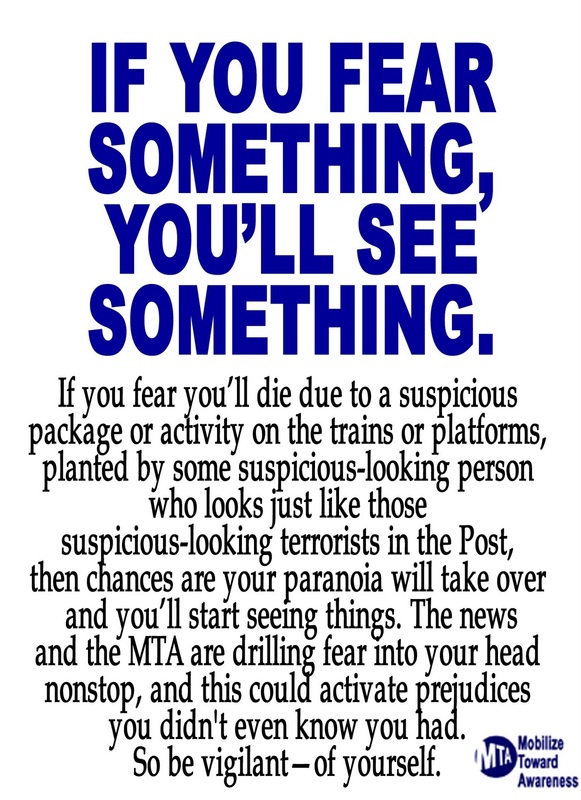 From the start, I've found Homeland Security's if you see something, say something campaign more than a bit creepy. Some cities saw the messages on ad placards. Walmart rolled out special videos at its checkouts. Then it was pitched at major sporting events. Now the National Hockey League is among the latest to succumb to pitching the paranoia. Is all this really necessary? If rational Americans see something suspicious, does the government think they'd hold back on reporting it without this crass marketing? If you fear something, you'll see something. 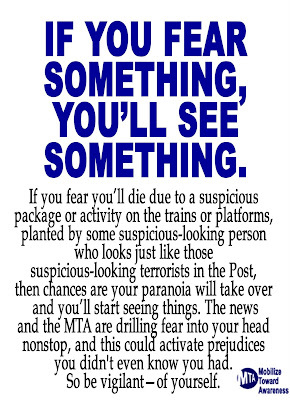 To paraphrase the counter message: Keep your wits about you even if the government is trying to scare you out of them. Meanwhile, Homeland Security is busy in other areas as well. In 2011, the Transportation Safety Administration greatly expanded the number of teams it has to conduct security screenings at rail and bus stations, as well as at random highway checkpoints. CBS in Los Angeles reports these teams, known as VIPRs, conduct "suspicionless" searches of the traveling public. The number of VIPR teams will reportedly expand again in 2012. The government's See Something campaign may be more about marketing encroachment on our freedom than it is about catching a terrorist. If the public perceives an immediate threat, it is likely more likely to go along with things like government checkpoints. Separate fact from slick marketing. The government is moving in a direction that increasingly infringes on individual liberty. Twenty-five years ago, we would not have accepted federal checkpoints that, without probable cause, randomly search citizens for something as routine as boarding a bus or train, or for driving down a highway. Why do we accept it now? The meeting notice has been published in the Federal Register. Looks like the council has a full plate for a one day meeting. Sensitive Threat Briefings against the Homeland. Update on Border Security and Evolving Threats. TSA Frequent Travelers Program Operational Update. Evolving Threats in Cyber Security. not be in the public interest. Department's implementation plan to counter domestic violent extremism. of measures designed to counter terrorist acts. closed under the authority of 5 U.S.C. 552b(c)(3)(A). A few topics for Thursday's (Dec 29th) "Don and Doug"
Where is America's next generation of leaders? Or will our society opt for a crop of bureaucratic managers instead? Data suggests Americans bought half a million guns in the week leading up to Christmas. What's up with that? The economy continues to look bleak. But there's a new push to make you think it's not. Can government and the media keep the population believing in a turnaround long enough to get through the 2012 election? Don and I will tackle these issues and more Thursday (Dec. 29th) at 1:00pm EST at TalkSouthRadio.com. If you'd like to jump in, we take live calls during the show at 678-344-9926, or just hit me with your comment via Twitter @TalkSouthRadio. Looks like gun sales so far this month beat last month's record. CNN's story goes on to say the number of actual firearm sales likely exceeds the number of background checks. 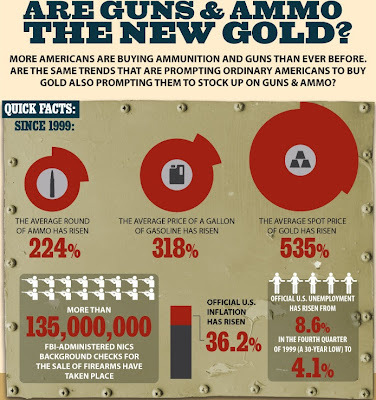 Buyers sometimes pick up more than one gun when making purchases. I stopped by a sporting goods retailer near my house the day after Christmas. The gun counter was doing a brisk business. Most the customers were looking at guns - with emphasis on shotguns and pistols. 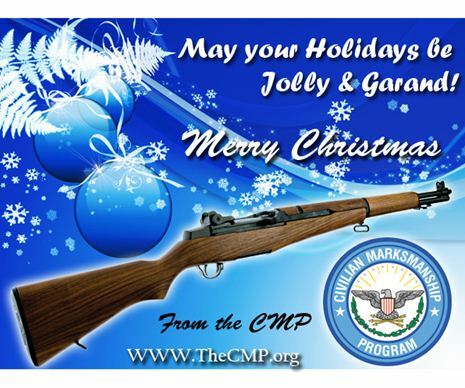 Others just wanted more ammo for the guns they got for Christmas. "Our job is to contribute all that we can to maximize that power. And that is what will set the stage for a new progressive era and for a socialist transformation. Big progressive change is closer then we think." I'm not endorsing Gary Johnson here. But a campaign ad of his asks questions we should all ask ourselves. Among them, are you in on the fight for liberty or merely looking on? 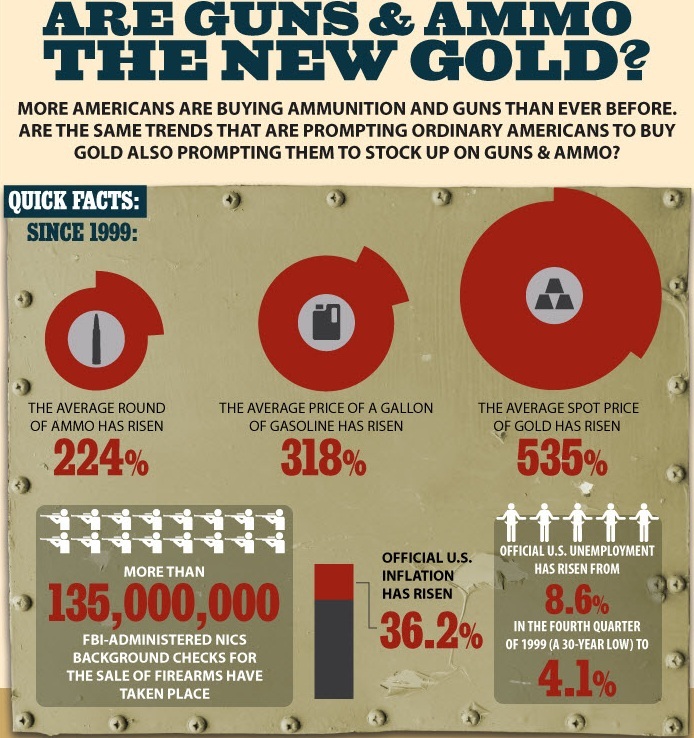 Maybe Sears and KMart would be in better shape today if they hadn't ceased gun and ammo sales back in the 1980s. The retailer announced today it will close another 120 Sears and KMart stores as it struggles to attract shoppers. This showed up under my Christmas tree yesterday. Yes, it made me laugh. Earlier this month, Senate President Harry Reid (D-NV) made a bold statement: "Millionaire job creators are like unicorns. They’re impossible to find, and they don’t exist…"
"Millionaire tax filers earn almost a quarter trillion dollars from their businesses. They must hire hundreds of thousands of employees to do so." Ruger fans might like to know MidwayUSA is advertising a sale on factory (Ruger made) mags for the Mini-14. 30 rounders going for $33.99. Not cheap by any means, but these are some of the best prices I've seen this year for Ruger manufactured mags. And from what I've been told, nothing works in a Mini like factory magazines. Midway's site says the prices are good through January 2012. On December 24th an unauthorized party disclosed personally identifiable information and related credit card data of some of our members. We have reason to believe that your personal and credit card data could have been included in the information that was illegally obtained and disclosed. Also publicly released was a list of our members which the unauthorized party claimed to be Stratfor's "private clients." Contrary to this assertion the disclosure was merely a list of some of the members that have purchased our publications and does not comprise a list of individuals or entities that have a relationship with Stratfor beyond their purchase of our subscription-based publications. We have also retained the services of a leading identity theft protection and monitoring service on behalf of the Stratfor members that have been impacted by these events. Details regarding the services to be provided will be forwarded in a subsequent email that is to be delivered to the impacted members no later than Wednesday, December 28th. As of 8:30 pm EST on Christmas Day, Stratfor's website appears to be down. The BBC reports the hacktivist group Anonymous has claimed responsibility for the attack. PCMag.com has more on the alleged Anonymous tie and possible intent. Update 12:40 pm ET 12/26/2011: TG Daily reports persons associated with Anonymous claim Anonymous was NOT behind the Stratfor hack. In 1787, George Washington paid to have a camel brought to Mount Vernon to entertain Christmas guests. "Some celebrate Christmas as the birthday of a great philosopher and teacher. Others of us believe in the divinity of the child born in Bethlehem, that he was and is, the promised Prince of Peace. "Yes, we've questioned why he who could perform miracles chose to come among us as a helpless babe. But maybe that was his first miracle, his first great lesson: That we should learn to care for one another. "Tonight, in millions of American homes, the glow of the Christmas tree is a reflection of the love Jesus taught us." Comrades, have you sampled anything from Uncle Joe? Yes, that's Joe Stalin on the bottle, beckoning you to sample this red wine. It's a Kindzmarauli. According to the label, that's a variety of wine Stalin ordered to be served aboard Soviet subs as part of the crew's daily ration. That's supposed to make it good? I ponder why a wine marketer would tailor a brand around the image of brutal Communist dictator. Is this what sells to American consumers? Perhaps this is just a bit of novelty marketing targeting those who remember the Cold War. On the other hand, it could be a sign Stalin's image is getting a makeover to a softer, gentler people's Joe. Is Ameican pop culture in the process of giving Uncle Joe the sort of history rewrite it's already given Che Guevara? This is just the first couple of boxes in the first of two lengthy graphics. Check out the full treatment here. An advance copy of Ten Tea Parties by Joseph Cummins came my way. It's a fascinating, quick read that brings to life much of the forgotten history of the Boston Tea Party, and the Tea Parties that followed in other colonies. The Tea Parties weren't a fluke. Or a prank. They were hard-edge, well planned economic protests that helped unite a soon to be born nation. Ten Tea Parties is a book well worth putting on your reading list. If you're politically minded, it's likely one you'll want to share with friends. The book's announced release date is January 17, 2012. The GOP caves. It appears the House will now go along with the Senate's 60 day payroll tax extension. It's another can kick. But those in doing the kicking do so in ever shortened stretches. Do those who do the kicking see there's a cliff up ahead? Economist and conservative author Thomas Sowell makes the case for Newt Gingrich over Mitt Romney in a column at National Review Online. "Romney is a smooth talker, but what did he actually accomplish as governor of Massachusetts, compared with what Gingrich accomplished as speaker of the House? When you don’t accomplish much, you don’t ruffle many feathers. But is that what we want?" Exploit the holidays. Exploit your families. There have been recent reports that one in every two Americans is either considered low income or in poverty. But TV station owned by NBC challenges that assessment. KNBC in Los Angeles reports the alarming earlier report was based on an experimental assessment. A more traditional methodology yields different results. ZeroHedge, a website which usually vends economic and financial information took a decidedly prepper direction with this post on Thursday. It had been about a month since I pulled a trigger, so I dashed off to a local firearms retailer with an indoor range for awhile today. Mid-afternoon, the place was packed. It has four rifle lanes. I had to wait an hour for one to open up. While I was waiting, I browsed inventory and watched people in the store. Many who came to shoot (both long guns and pistols) were carrying new range bags or had their rifles in new cases. I presume many of these new cases contained recently purchased firearms. 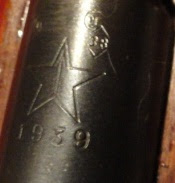 I was toting a 25 year old rifle in a 40 year old rifle case. There were a number of young adults in the store. They came and went in groups of two, three or more. And there were older folks too. Some came in as families: Mom and/or dad escorted by grown kids. It seems shooting is a social thing as much as anything else. The store appeared to have laid in plenty of stock for the Christmas season. Plenty of black rifles in the racks (some with pink accents), Ruger 10/22s (a Christmas favorite), and there was even a couple of cases of Russian surplus bolt-action Mosin-Nagant 91/30s near the front of the store. Now retailing at around $129, Mosins are an easy entry point rifle that's rich in history. We spend a good bit of time questioning why Repbulican elites rush to embrace Mitt Romney's presidential bid. He's the same Mitt Romney who, in the past, publicly dissed the policies of the Reagan-Bush era. 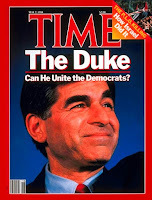 Romney also distanced himself from the Contract with America in 1994, saying he saw it as divisive. 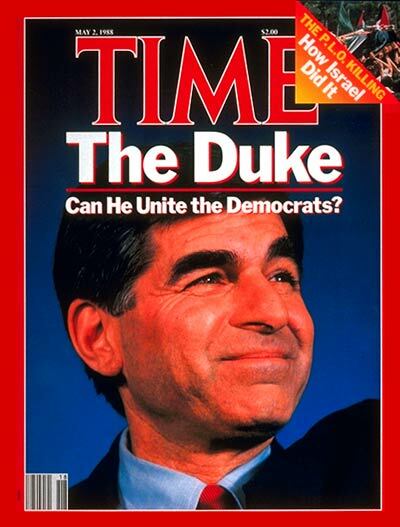 In 2002, Romney campaigned in Massachusetts declaring himself a progressive. An easy-going, moderate GOP president will likely have little success in undoing what the left has put in place over the previous four years. We also wondered aloud where the Tea Partiers who filled the streets and town halls in 2009 are now. We know some have been assimilated into local Republican Party structures. We also suspect many now emphasize self-reliance and prepping over political solution to what they believe is coming. The program is available through the TalkSouthRadio.com site. Or you can listen from start to finish with this link. The Republican presidential contenders aren't the only ones lashing out with destructive behavior. The whole world seems to increasingly be getting into habit. Talking about it at 1:00 pm ET today (December 15) with Don and Doug on TalkSouthRadio.com. Jonah Goldberg opines about Newt Gingrich in the Los Angeles Times. While I'm not locked into favoring Gingrich, I am in the camp that believes we're in crazy, extraordinary times. A politician that wants to follow the herd or who can't set precedent won't get us out of the mess we're in. I'm not sure anyone can. But it's clear that status quo won't cut it. The federal government has begun using advanced Predator drones for domestic surveillance and other local law enforcement actions. The use is not limited to border issues or enforcement. The drones belong to U.S. Customs and Border Protection, which operates eight Predators on the country's northern and southwestern borders to search for illegal immigrants and smugglers. The previously unreported use of its drones to assist local, state and federal law enforcement has occurred without any public acknowledgment or debate. Perhaps we're now getting another glimpse of what Mr. Obama was pitching on the campaign trail in 2008 when he talked of a domestic civilian national security force as well funded, and as well equipped, as the military. In providing false information to Congress, did members of the Justice Department lie? Attorney General Eric Holder tells members of Congress that lying depends on one's "state of mind." 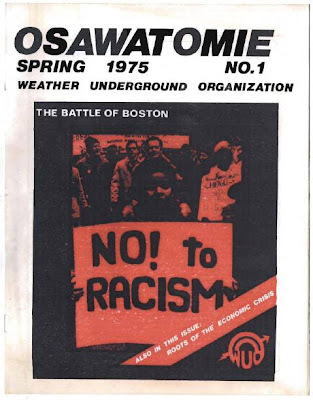 Looking at the choice of headlines from Osawatomie, a 1975 publication of the radical Weather Underground Organisation, you'd almost have to wonder if some of the same forces who wrote for the publication are playing part crafting the events or framing the issues of today. 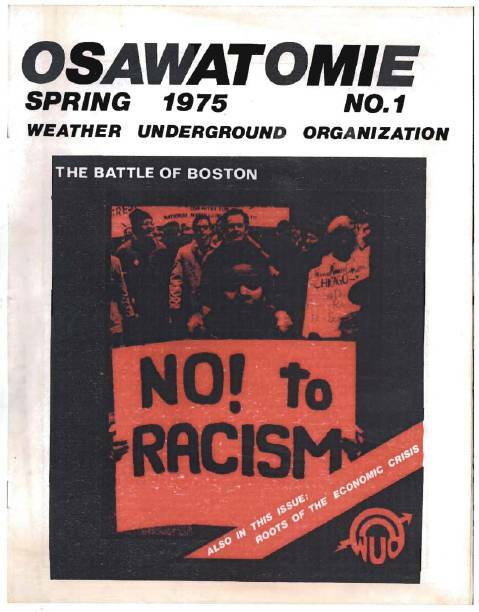 More on the content of Osawatomie's first volume is available for review in a Zomblog post from 2008. A second Osawatomie volume is available for review or downlink here. Its emphasis is on revolution. And it brags of using tactics of violence in efforts to bring it about. Earlier today, Don and I kicked around whether there might be veiled symbolism sent by President Obama in choosing Osawatomie, Kansas as a place to deliver an address. Was Mr. Obama just trying to ride Teddy Roosevelt's progressive coattails or was there more to his choice of venue? Over at Noisyroom.net, they've come up with another interesting tie to the name Osawatomie. During the president's address, the high school audience snickered when Mr. Obama referenced "Communist" and "Socialist." It seemed to be the reaction the president was seeking. 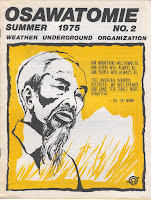 I wonder if the students know their town was the namesake for the Weather Underground newspaper. 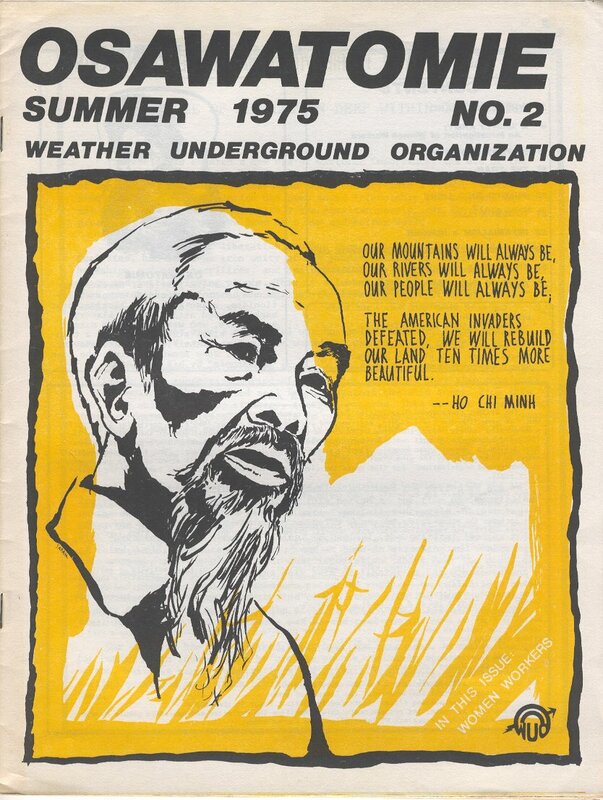 Do they even know what the Weather Underground was? President Barack Obama compares himself with Teddy Roosevelt. But not the T.R. who charged up San Juan Hill. Mr. Obama likes the Teddy Roosevelt who morphed into a progressive by 1910. Mr. Obama is right. 1910 was part of era that changed America. But not just in the ways he addressed in Kansas. Mr. Obama neglects to mention this early progressive era established the Federal Reserve Bank and established for the first time a permanent United States income tax. He also neglects to venture into the erosion of states' rights by replacing the election of U.S. Senators by state legislatures with a popular vote. All are part of the legacy bestowed on us by early 20th century progressives. We'll talk more about Mr. Obama's attempt to cast himself as the new Teddy Roosevelt today (December 8) with Don and Doug on TalkSouthRadio.com. We'll also take a look at Mr. Roosevelt's original New Nationalism address. Join the conversation if you like by calling 678-344-9926. Our program starts at 1:00pm EST. Update: This week's Don and Doug is now complete. You can listen here. Obama's Kansas address with a Teddy Roosevelt hook is the lead topic. Members of Occupy Atlanta and Occupy Gwinnett set out to protest Tuesday's foreclosure auctions on the steps of courthouses in Fulton, DeKalb and Gwinnett counties. No doubt they made some noise and created a little chaos (foreclosure auctions are usually a little chaotic anyway). 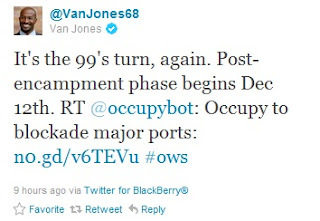 But for all the effort, did these Occupy protests managed to prevent any auctions from going forward? Even if they did stop one or two, nothing was resolved long term. Lenders can simply re-advertise, and go through the process again. Would a "DC insider" make the best next president? 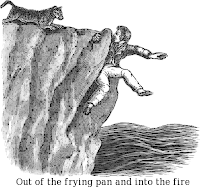 With the demise of the Herman Cain campaign, and the rise of Newt Gingrich in GOP presidential polls, I begin to wonder if some adherents of the Tea Party philosophy aren't rethinking their strategy. While the Tea Party was once seen as favoring new and fresh in a presidential candidate, it could be members now warm to the idea that someone who knows well the choke-points of DC politics may hold the best key to quickly reversing many of the unpopular and impractical policies the current administration has put in place. Agree or disagree? Don and I will kick the question around tomorrow (December 8) on Don and Doug at 1:00 pm EST on TalkSouthRadio.com. You can call the show ahead of time at 404-981-1775 to leave a comment, or call in Thursday at 678-344-9926 as the show airs live. It was a Sunday morning in Hawaii but, given the time difference, it was a Sunday afternoon in Atlanta when Pearl Harbor was attacked on December 7, 1941. Twenty years ago, prior to the 50th anniversary of America's entry into World War II, I interviewed several Atlanta area residents about their recollections of the day. Former WSB General Manager Elmo Ellis was among them. At the time, Ellis was a publicist for the station. "Doug Edwards (who went on to work for CBS) was then on the WSB news staff and was on duty in the news room. The message came across, the bulletin. And I happened to be in the newsroom with him," Ellis recalled. Jeanette Winslett remembered as well. "I was at my mother's house. And she began to cry because she knew her boys was going to have to be in the service. She couldn't stand for her boys to be away from home." Gilbert Baker was on active duty with the 128th Observation Squadron based at middle Georgia. "Maybe I ought not to tell this, but we were in a theater in Atlanta. We were supposed to be in Fort Benning." Baker said he and his buddies were back in camp by next morning. The 128th would deploy to Louisiana and spend 1942 flying anti-submarine patrols over the Gulf of Mexico. After the attack, Winslett said she and her husband decided to spend Christmas savings on a defense bond rather than toys for their young daughter. The bond purchase turned into a photo-op. They dressed their daughter in a soldier outfit borrowed from the local Kress department store. Her photo appeared in an Atlanta newspaper. It was apparently supposed to help make the case that lead officials weren't in the know. But last Friday night's document dump by the Department of Justice only stirred the hornet's nest. It's been nearly a year since bloggers Mike Vanderboegh and David Codrea began revealing details of Fast and Furious, and how the operation played part in the death of Border Agent Brian Terry. It's past time Washington DC begins to hold all those responsible accountable. Europe's economies may be in shambles. But the European Central Bank attempts to reassure the continent with a new video to celebrate ten years with the Euro. I like the opening scenes. Roads and bridges materialize from nothing. I see it as a metaphor for how fiat currencies are created. Question is: With fiat currencies churned out at an ever increasing pace, where are they taking us? "The entire continent continues to virtually crumble before our eyes." Countries getting new downgrades by Weiss Ratings are Ireland, Portugal, Hungary, Sweden and Russia. Weiss continues to rate the U.S. at C-minus. One notch above "junk." Congressman and Republican presidential aspirant Ron Paul says it's wrong for candidates in the GOP field to cater to Donald Trump as if he were some kind of GOP deity. I think Paul gets it right. When GOP candidates rush to catch a bit of the Trump spotlight or make time to meet with him, they look more like they're auditioning for The Apprentice rather than running for president. 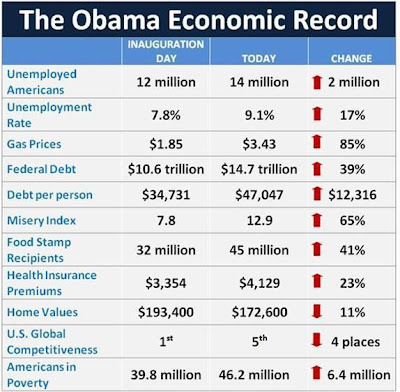 Democrats will enjoy mocking these moves now through November 2012. And with good reason. Trump's a guy who sent a congratulatory note to Nancy Pelosi when she rose to be Speaker of the House. Specifically, Federal Reserve Bank of Richmond. The Richmond Fed is out with a some of videos that, shall we say, may seem just a bit defensive. One is The Fed Doesn't Print Money. "The Fed doesn't print money. But we do issue currency, distribute it, and store it..."
"Directors are selected by banks within their communities and the Fed's board of governors..."
And then there's The Fed is Audited. "However, monetary policy deliberations like those that consider the target federal funds interest rate are not audited by the GAO..."
Is anyone buying the messages here? Are you now feeling warm and fuzzy about the Fed? 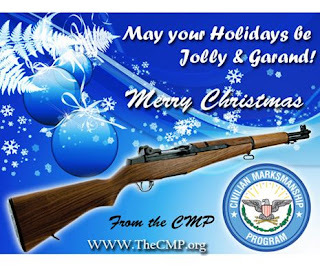 The long time tradition of guns as Christmas gifts appears to be intact. While throngs of people stormed stores on Black Friday for wide screen TVs and other faddish consumer stuff, others lined up at sporting goods stores and gun shops to pick out firearms. As far as I know, there wasn't one case of a Black Friday trampling or pepper spraying or shooting at a firearms retailer. We've got to get over the leftist-induced stereotype that guns are bad. Once upon a time it was common knowledge that nice people have guns. 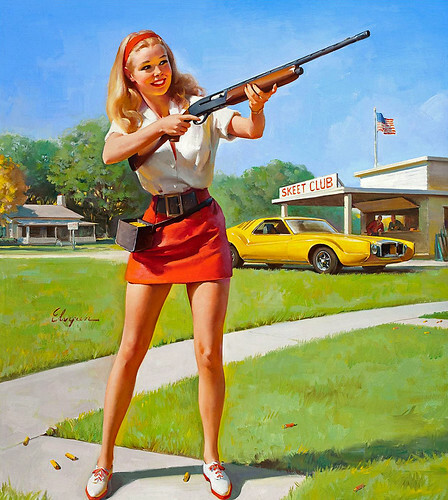 The young woman in the poster not only has a shotgun. It's a semi-auto. No worries about unemployment or the U.S. national debt. No worries about Euro-zone troubles. Not a thought of Middle East unrest. As significant events unfold, how many people are sleeping through them as soundly as these two cats? (Look closely, and you'll see one kitty is hoarding the TV remote). Where will Jones be when Occupy blockades the ports? According to a Code Pink flyer, Jones will be with them on a cruise ship. From Sen. Chuck Grassley (R-IA): "Why Didn’t the Attorney General and the Secretary of Homeland Security know about the Connection between Fast and Furious to Agent Terry’s Death?" It's been nearly a year since Agent Brian Terry's murder. It's way past time for federal agencies to willingly clarify details surrounding the murder, and to come clean on circumstances of Operation Fast and Furious leading up to it. But rather than disclosure, the Obama administration is moving the other way by recently sealing records in the ongoing Terry case. 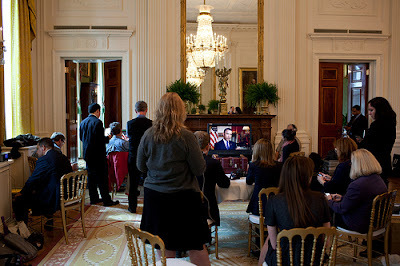 How many people does it take to do one White House interview? This is not a Photoshop. This is not a spoof. This is, according to the White House, the real deal. Guinness Book of World Records holder John Cassidy performs a balloon act for First Lady Michelle Obama in the Diplomatic Reception Room of the White House, Oct. 11, 2011. Cassidy performed for kids on the South Lawn before the First Lady launched a challenge to break the Guinness World Records title for the most people doing jumping jacks in a 24-hour period. 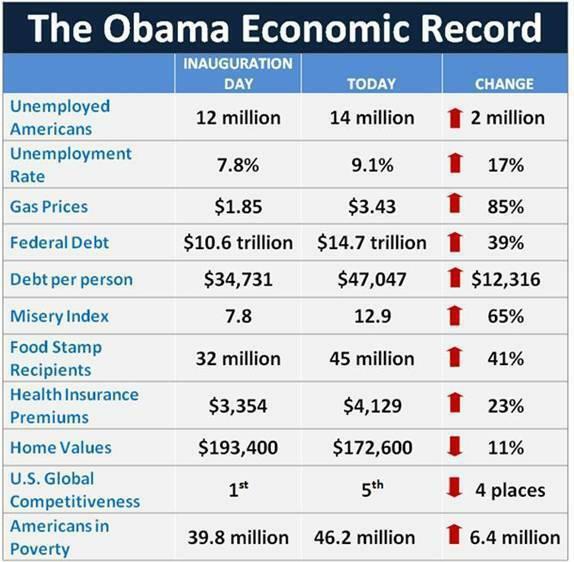 Are you still expecting this administration to fix the economy? It seems to have other priorities. Update: The December 1 show is now available for playback or download. Europe and the Fed to play big on today's "Don and Doug"
We've long been warning about the situation in Europe. Now the Federal Reserve and other central bankers have stepped in to provide Europe with more "liquidity." Why the rush to flood the continent with dollars when systemic problems of too much entitlement spending on too little tax revenue haven't been fixed? It's just another chapter in too big to fail. Things there are now rapidly escalating toward a broadening financial crisis. Dennis Kucinich charges the Federal Reserve has seized control of the government. The congressman from Cleveland may be on to something. And have you ever thought about how America's emphasis on celebrating cultural diversity may make it possible for government to do as it pleases with little worry the people will stand in the way? Join us for Don and Doug today and every Thursday from 1:00 to 3:00 pm EST for live talk. During the show, we take live calls at 678-344-9926. If you want to drop us a voicemail before the show, the call-in drop box is at 404-981-1775. I also monitor Twitter @talksouthradio during the webcast. Update: The December 1st show is available for on-demand listening or download here.